Ordained as a nun in the Tibetan Buddhist Gelug tradition in the late 1970’s, Ven. 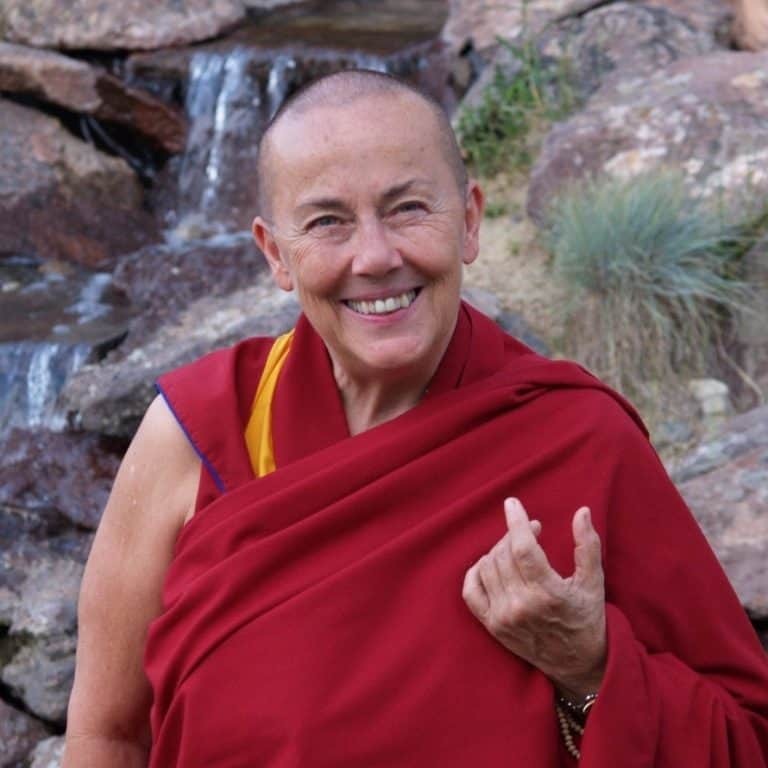 Robina Courtin and has worked full time since then for Lama Thubten Yeshe and Lama Zopa Rinpoche’s FPMT. Over the years she has served as editorial director of Wisdom Publications, editor of Mandala Magazine and as a touring teacher of Buddhism. She founded the Liberation Prison Project in 1996 and was Executive Director for 13 years. Her life and work with prisoners have been featured in the documentary films Chasing Buddha and Key to Freedom. She is an extraordinary teacher with boundless energy and charisma, and her style when teaching is sparklingly clear, direct and compassionate.